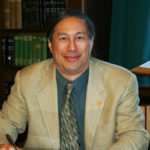 Dr. Chen is director of the Center for International Earth Science Information Network (CIESIN), a part of the Earth Institute at Columbia University in New York. He also manages the NASA Socioeconomic Data and Applications Center (SEDAC), a unique source of interdisciplinary, open access geospatial data and information focused on human-environment interactions. He recently served on the United Nations Independent Expert Advisory Group on the Data Revolution for Sustainable Development, and helped to develop the innovative immersive exhibit, Connected Worlds, at the New York Hall of Science. He received his PhD in Geography from the University of North Carolina at Chapel Hill and holds Masters degrees in Technology and Policy and in Meteorology and Physical Oceanography from the Massachusetts Institute of Technology. His undergraduate degree was in Earth and Planetary Sciences at MIT.